There were many anniversaries (there always are). It has now been 25 years since Blade Runner and 20 years since Gattaca. Perhaps most importantly, it has been 70 years since the venerable Bulletin of Atomic Scientists began publishing their ‘Doomsday Clock.’ This graphic displays how close human society and the planet are to likely annihilation (symbolically represented as midnight). In late January 2017, the hands of the doomsday clock were moved to 2.5 minutes to midnight, the closest it’s been to apocalypse since its worst in 1953 – the clock watcher citing in part the new technological platforms. That’s the now-familiar bad news, but at ETC Group we think we have isolated the optimism gene, and unlike Musk and Hawking we are feeling unseasonably upbeat. Not about the present per se, but about the prospects down the line for 2040. We think there are viable paths to move those doomsday clock hands back a few notches in the next 20-odd years. More of that characteristic cheer below, but first here’s a too-fast annual ABC of the state of the present according to the ETC team of pulse keepers. (A hint for the easily dismayed... it’s fine to skip ahead to I – Inspiration). From rising CO2 in the atmosphere to widening gender and income inequality for humanoid citizens and non-citizens alike, we live in a time of accelerating negative trends correlated with the accelerating technologisation and financialization of everything. If one sector has come to symbolize the runaway nature of technology-driven change it is, of course, Artificial Intelligence (AI). Consider the trajectory: two years ago, ETC reported that Google’s AI machine learning algorithms had learned how to play space invaders and sort through cat photos. A year later, AI was gaming parking fines and evolving fascist tendencies on Twitter as a foulmouthed Microsoft chatbot. In 2017, we learned that, bored of cat photos but still addicted to Twitter, AI had also been busy manipulating voter behaviour and maybe stealing an election for Donald Trump (himself a humanoid foulmouthed Twitter chatbot). Trump’s biggest financial backer was, guess who, an AI guru turned hedge fund tycoon: Robert Mercer. For those who missed it, this year the story emerged that Robert Mercer had used his AI-driven voter data outfit, Cambridge Analytica, in a bid to mass-manipulate voter emotions and actions – not only in the US electorate, but also, successfully, during the British Brexit referendum. As 2017 draws to a close, Mercer's political bot army, after a stint in Kenya, is headed to Brazil. Meanwhile, AI is simultaneously at work in other fields: designing hundreds of thousands of bioengineered organisms and a recent paper even hints at deploying algorithmic approaches to geoengineer the climate: a paper published last month developed an algorithm to precisely instruct where and how much sulphur might be introduced into what part of the atmosphere at what time to stave off climate change – rendering the entire planet an automated injection cooling system. Accelerating faster than AI (and not unrelated), 2017’s darling tech bubble was decidedly the Blockchain – the distributed digital ledger protocol originally invented to enable the cryptocurrency Bitcoin, whose speculative value skyrocketed from under $800 per bitcoin to almost $20,000 in mid-December before dropping back to around $16,000 a few days later. (Bitcoins’ value has climbed and crashed several times this year – a wild ride that outpaces the risk faced by any other investment sector.) While the sparkle and attention was on the financial baubles of the cryptocurrencies (Bitcoin, Ethereum, Litecoin, Ripple, Dash), the serious interest is focusing in on the encrypted ledger itself. The blockchain is now being pitched as the panacea for everything: from trading carbon, land, water, biodiversity and agricultural commodities to dissolving banks, markets, bureaucracies and more. The magic workhorse at the heart of a blockchain-built future are programmed “smart contracts” that allow automated machines to exchange and coordinate value and labour without the human middle-man. Blockchain-enabled smart contracts do for white collar work what automation is already doing for blue collar work (replace it). Those who preach the anarcho-libertarian gospel of “better living through blockchain” believe the day is coming when central banks and government bureaucracies alike will dissolve into the thin air of the blockchain. But, ETC is asking itself, why then are block chains being so warmly embraced by bank consortia for their internal machinations? As it turns out, the blockchain infrastructure is not so light and airy, or even efficient. Economists revealed this year that every single bitcoin transaction uses 77 KwH of energy (some say more). That’s enough to power a large American house for a week (or a more efficient Dutch house for two weeks). To put it another way, according to the “Bitcoin Energy Consumption Index,” daily bitcoin energy use, which is ballooning, was rivalling the energy use of Qatar by year end – and that's just one blockchain platform. According to one analysis, if Bitcoin was handling the same number of transactions as Visa it would use the same amount of electricity as the entire world currently uses – or 500 nuclear power stations worth. In reality, it’s also rather slow, taking many hours per transaction – a rather different take on “slow money”. Meanwhile, up to a third of bitcoins, worth around 52 billion dollars, may be actually lost in password-expired purgatory, landfills, or down the cushions of virtual sofas. Concerns are also arising that new quantum computing platforms may be able to break the blockchain by cracking encryption. As UN agencies, companies and NGOs fall over themselves to uncritically embrace Silicon Valley's blockchain-mania and accept or issue crypto-coins there is an urgent need for governments and social movements to catch their breath and decode who really gains by doing away with bankers and bureaucrats in favour of algorithmic accounting. Looking at the blockchain hype, it is hard not to notice that the promised dismantling of the administrative state and shrinking of government services chimes perfectly with the ideology and priorities of the current White House. (Interestingly, former Trump chief strategist Steve Bannon was previously CEO of a company farming Bitcoin-like electronic money using Chinese prison labour.) Even more significantly, the cryptocurrency ideologues’ desire to dismiss central banks and replace fiat currency with blockchains fits comfortably with the prime obsession of Trump’s AI-fuelled patron, Robert Mercer, who sees the return of the Gold standard and the end of central banking as a means to protect the interests of the sovereign super-wealthy like himself. Theoretically, it could take only a handy financial crisis for the White House to migrate both the dollar and the apparatus of government onto the blockchain, give pink slips to Washington’s bureaucrats and sell off the prime DC real estate to the Trump Corporation. Singapore is already exploring putting their dollar on a blockchain and experimenting with an Ethereum-based national currency coin. In any case, the blockchain, combined with the AI-induced wild ride of uncertainty that the economy is in for. will be a boon for hedge funds. So, keep an eye on the biggest data-driven AI-fuelled hedge fund of them all, Renaissance Technologies, whose analysts this year began using quantum computing for their secretive black box calculations. The CEO of Renaissance just stepped down from the limelight, but he will still be there fiddling with the back end of the Renaissance money machine. His name: Robert Mercer. Responding to the same high tech pressures, agribusiness mega-mergers were also all over the news this year, and very present in our minds as well. Last year, ETC was forced to conclude that if the mergers went through, there would no longer be separate seed and pesticide industries, but rather a merged entity we called the ChemGens. By the end of 2017, only the hookup between Dow and DuPont seems clear, while the Bayer takeover of Monsanto remains under question in Brussels and in several other jurisdictions. Although the deal between Syngenta and ChemChina seems to be going through, ChemChina is in trouble back home: its vice-president has been forced to step down and it’s having trouble finding the money to pay for the merger. Even Dow and DuPont – both US companies – are negotiating with activist shareholders and had to agree to revamp their restructuring. Meanwhile, to appease Brussels, Bayer is selling its own seeds division and some of its pesticides to BASF, making it clear that when the dust settles the current joy-of-Six (the big six agrichemical companies) will be reduced to a four-play, with BASF possibly looking for more prey or partnerships. While we were all watching rigor mortis set in along the first links in the food chain – including the farm machinery and fertilizer companies – other links in the chain were also hardening. Food traders Cargill and Bunge both reached up and down the chain looking for new markets as they watched their historic control over agricultural data erode in the face of digital DNA and the big data around soils, satellites and robotics. 3G Capital – the guys behind the big brewery merger and the Kraft-Heinz deal, working with Berkshire Hathaway – tried to buy Unilever and are still looking for other potential food and beverage takeovers and/or acquisitions at the retail end of the chain. And, as everybody knows, the merger of Amazon and Whole Foods (North America’s biggest organic food retailer) has set the stage for future mergers among retailers. Foodtech meanwhile was the darling of the venture capital set – venture capitalists poured more than double the money they spent investing in food and agriculture start-ups in 2016 and there will be more to come. Alarmed by their declining market share, processors and retailers are also scavenging up and down the chain buying start-ups and looking for specialty craft products and companies. As Big Data devours food and agriculture, nobody anywhere along the Chain feels safe. Competition Treaty? By mid-year, ETC and many of our partners were looking beyond the immediate mega-mergers and the weaknesses of national anti-trust legislation to the glaring absence of a UN Treaty on Competition. Although the UN Conference on Trade and Development has fashioned a Model Law on Competition Policy, there is no international agreement. An OECD study concluded that national regulators are increasingly sympathetic to giant mergers; that remedies are often driven by technology needs; and that, in the absence of a binding treaty, the “home” countries of merging enterprises should be allowed to take the lead. That is, the OECD is telling the Global South not to interfere, disregarding their sovereign right to do so – even though the impact within any single country could be greater than in the home countries, and the technologies that are driving the mergers may play out in unexpected ways. As we look to 2018, we expect to be talking with our partners about the feasibility of a new UN Treaty on Competition. Yes, driverless cars are still being sold by politicians on a promise of being ‘safer,’ but in the face of growing algorithmic uncertainties (see “A” above) proponents of autonomous cars will still be sighing with relief if 2017, unlike 2016, screeches to a halt with nobody actually dying from a driverless car accident. There were some close calls: in November, Britain’s ultra-alpha-male car celebrity, Jeremy Clarkson, disclosed that he had twice almost been killed by the bad driving of an autonomous car. Uber, determined to be first with a totally driverless car fleet, upped its chances of claiming death number two (Tesla got the first) as it made a deal with Volvo to buy 24,000 cars decked out with its driverless technology. Uber, it seems, is already vying with Monsanto for title of world’s most unpopular company, having been besieged with scandals through 2017 about links to the White House, systemic bullying and sexual harassment. In one of Uber’s more bizarre episodes in 2017, a would-be Islamic terrorist in the UK drove his Uber to attack Windsor Castle (the Queen’s residence) but his navigation system brought him instead to a pub of the same name. Police did not buy his claim that his four-foot sword was to slice pizza, though 10% of all Uber Eats rides are now for pizza deliveries. But in truth it’s not just Uber, Tesla and Alphabet setting the driverless pace – all the biggest automobile manufacturers are racing to bring us driverless cars. Looking back at how those same companies have been handling safety these past few years, Jeremy Clarkson and his public may have good reason to be wary. Remember how General Motors was caught in 2014 hiding a deadly ignition switch malfunction that killed 124 people, how Toyota was slammed for failing to disclose faulty accelerator pedals on 9 million cars, and how Volkswagen gamed emissions standards? Well, in 2017, VW, Porsche, Audi, Daimler and BMW all fell under EC anti-cartel investigation for also fixing emission equipment and standards. Takata was forced into bankruptcy, faced with at least 18 deaths caused by malfunctioning airbags, and Nissan let slip that its car inspectors were sometimes uncertified. Mitsubishi (allied to Renault and Nissan) admitted to faking records on aluminum car parts, Subaru conceded to similar failings, and Toray Industries apologized for faking inspection certificates on cords used to strengthen car tires. Forget driverless cars – how about careless manufacturers?? There can’t be a Fourth Industrial Revolution without upgrading its accompanying philanthro-capitalism. From the First to the Fourth Industrial Revolution, the enduring assumption has been that the Rich know best how to dispense charity. The world’s billionaires (now 1542 of them) upped their net worth by almost 20% last year to a combined total of $6 trillion (and that’s before counting the bitcoins: if the anonymous Bitcoin-inventor ‘Satoshi Nakamoto’ were right now to cash out on their stash of bitcoins, they would shoot to the top half of Bloomberg’s billionaires list). Although much was made of the philanthropy of the new billionaires in China, India and Brazil, the heir and CEO of Korea’s Samsung was jailed for bribery while his foundation stands accused of channeling the bribes. Meanwhile, the US government can’t seem to find anything “charitable” in Donald Trump’s foundation and, in 2017, the Clinton Foundation was – as ever – under fire. In fact, most of the nouveau super-riche seemed to be squirreling away their money in anti-poverty crusades sheltering homeless Vermeers and Picassos. To deflect attention, billionaire philanthropists led by Gates and Buffett announced a major upgrade in their collective giving – still harnessing their entrepreneurial algorithms and technological genius to end hunger, climate change, disease, gender discrimination, etc. To the list of Zuckerbergs, Buffets and Gates, a new rising kid on the philanthropic block to watch is the Open Philanthropy Project, the plaything of Facebook co-founder Dustin Moskovitz and his wife Cari Tuna (Dustin is billionaire #63). Their seemingly ultra-rational “effective altruism” approach tries to crunch the numbers on where billionaire bucks can be spent for maximum global bang. The outcome is that Open Philanthropy seems to be moving in block-step with Bill Gates techno-utopian playbook: channelling dollars into propping up gene drives, syn bio fake meats, and solar radiation geoengineering. Even with their own data-driven take on philanthropy, the techno-fixers of the Fourth Industrial Revolution continue to believe that their entrepreneurial skills and technological genius make them the best judges for what humanity needs, and apparently what it needs is more technology of the sort that made them rich. It’s not likely that Elon Musk will build an Almshouse on Mars but if he does, we expect Uber will have the food contract and the driver will be paid in bitcoins. Embryos get CRISPRd. In July, a team from Oregon Health and Science University, with colleagues in California, China and South Korea, reported that they had used the CRISPR gene editing method in dozens of human embryos to “fix” a mutation that causes a common heart condition. While not the first CRISPR embryo study (those were in China in 2015) the study dangerously ‘mainstreamed’ the idea of human germline intervention editing out diseases – although some of its claims were later disputed. Biohackers get CRISPRd. Josh Zayner is the biopunk CEO of The Odin, who sell CRISPR- home kits online and also ship brew-it-yourself syn bio glow-in-the-dark beer kits. Zayner claimed this year to be the first person to ever CRISPR themselves when he started self-injecting with CRISPR DNA and RNA designed to increase muscle growth. He accompanied his self-editing stunt by releasing a DIY Human CRISPR Guide and selling $20 DNA to promote muscle growth. Grampires lose their whiskers (“Grandpa, What Big Veins You Have!”) Blood transfusions from young mice to old mice make old mice younger. 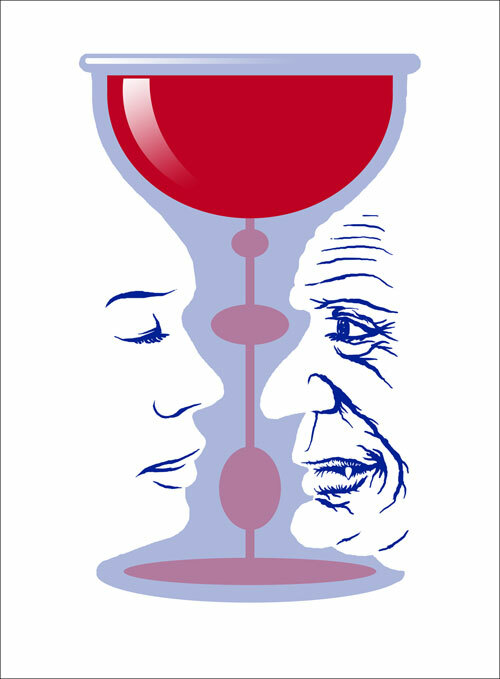 Scientists theorize that transfusions for us would do likewise – including slowing or reversing Alzheimer's. A California start-up, Ambrosia, is charging $8000 per shot of ‘young blood.’ Look out Little Red Riding Hood! With Terravia by the wayside, the new leader of the pseudo-food pack emerged as Impossible Foods’ meatless ‘Impossible Burger’ – a vegan patty doused in a syn bio blood substitute known as heme that gives the impossible burger a meaty taste. But Impossible Foods also jumped the gun, rushing its product to market. In August 2017, ETC Group and Friends of the Earth US shared freedom of information disclosures from the US Food and Drug Administration that showed Impossible Foods had failed to convince the regulator that its pseudo-patty could be ‘generally recognised as safe.’ Impossible Foods had boasted that its burger would be in over 1000 restaurants by the end of 2017. So far, it's less than half way and has just managed to resubmit its safety dossier for consideration. Meanwhile, the darling of Silicon Valley’s fake food set, Hampton Creek, switched its attention from mayonnaise to lab-grown meat and found itself embroiled in a failed coup, a resignation of the full board, allegations of attempts to game sales figures and being barred from retail giant Target. Equally telling were the fake food announcements that never were. For example, 2017 was supposed to be the year that syn bio start-up Perfect Day debuted its fake cow milk – but so far, no moo. Gene Drives may not work very well – A handful of papers pointed to the phenomenon of “gene drive resistance” that organisms engineered with gene drives will likely mutate in the real world and may eventually stop ‘driving’. There’s still no such thing as a ‘local’ gene drive – Dr. Esvelt and others are now placing their hopes on making gene drive systems with in-built failure mechanism as a way of keeping spread ‘local.’ ‘Local’ gene drives would be of much more interest to corporate types wishing to sell gene drives as a service (and to military weaponeers) but in truth they are totally theoretical at this point. The US Military and Bill Gates is in the driving seat – The clear conclusion from the Gene Drive Files is that this fast-advancing field is being structured and funded by the largesse of Bill Gates (who hopes for a quick fix for malaria) and the interests of the US defence establishment (who see a powerful potential weapon). The secretive military JASONS group this year undertook a classified study into hostile and agricultural uses of gene drives. Agricultural and corporate interest in Gene Drives is rising – A secret JASONS study heard (secretly of course) from a senior staff from Monsanto and Cibus, and the California Cherry board is funding gene drive research on agricultural pests and have established Agragene – one of at least two private gene drive start-ups to commercialise the technology (the other is Synbal). For ETC Group, one of the most disturbing trends of 2017 was the ongoing, rapid normalization of the idea that we may soon geoengineer the planet. At the year’s onset, we watched several geoengineering enthusiasts sweep into key US government positions (one of them, thankfully, is out again, but only after writing the plan to eviscerate the EPA). At the international level, the UN’s climate science body, the international Panel on Climate Change (IPCC), began their special report on how to limit global warming to 1.5 degrees. They included a pro-geoengineering Exxon scientist and a Saudi Aramco scientist as authors, sparking an outcry in May from 108 civil society organizations who signed a letter demanding the IPCC review the authors’ conflict of interest (the IPCC, incredibly, responded that it did not in fact contradict their Conflict of Interest policy). By the time September rolled around, it was becoming clear that not only is geoengineering expected to play a prominent role in the much-vaunted 1.5 degrees report in 2018, it is also being ‘mainstreamed’ as a topic across the more significant Sixth Assessment Report of the IPCC. By October, when geoengineers met in Berlin to show each other their latest technofixes and to be seen talking earnestly about governance, some were already boasting that they hoped to sneak geoengineering into the UNFCCC process in 2018 via the Global Stocktake. By the time the UNFCCC met for its November meeting in Bonn, geoengineering was a major topic in the corridors, spurred in part by a rare US Congressional Committee hearing on geoengineering chaired by a leading Exxon-sponsored climate denier, Lamar Smith. So effusive was Smith about geoengineering as America’s best solution to something he previously didn’t believe in, even leading geoengineers asked Republicans to tone it down a bit: “In some ways the thing we fear the most is a tweet from Trump saying ‘Solar geoengineering solves everything – it’s great! We don’t need to bother to cut emissions,'” said Harvard Geoengineer David Keith at a November 7th forum. “That would just really make it hard to proceed in a sensible way.” However, he omitted to mention that a bill to boost geoengineering research in the US had already been introduced. Keith himself is still gunning to proceed with his long-delayed SCoPEx balloon experiment, to be launched from a spaceport outside Tucson, Arizona – close to the Mexican border. North America has three regional solar radiation management experiments slated for the coming year: high altitude balloons spraying particles in the desert southwest (that’s SCoPEx), spraying seawater to brighten clouds in California and floating plastic micro-beads on Hudson’s Bay. Even if Trump doesn’t tweet his support, if his administration (and that of Justin Trudeau – not likely) quietly give the nod to these experiments, the world will take a big lurch closer to a geoengineered future. Depressed yet? We’re not. At our annual board meeting in Berlin in mid-October, the recurring discussion was about ETC’s own gene drive – the Optimism Gene. For 40 years, we have not just been scanning the horizon for new challenges, we’ve been looking for the humour, making fun of the absurdities of our adversaries and laughing at ourselves. This has kept us sane… if slightly zany. Here are some of the things that keep us optimistic. Firstly, peasants still feed the world, hold the seeds, nourish the soil and are innovating real place-based responses to global challenges with far greater agility and adaption than any blockchain, neural net or algorithm could handle. As long as there is still a peasant food web, there is still a viable livable future. Secondly, social movements and civil society have never been stronger. At its mid-year global gathering in the Basque Country this year, Via Campesina demonstrated that it is bigger, better organized and more effective than ever. Contrary to the fears of some CSOs and the hopes of many companies, the Civil Society Mechanism facilitating all our work among the Rome-based agencies showed itself to be incredibly astute and politically effective at organizing ever-growing numbers of CSO partners around the world. And the IPC for Food Sovereignty and many other allies worked effectively together to make real progress on Farmers’ Rights and Big Data agriculture during the Seed Treaty negotiations in Rwanda at the end of the year. Meanwhile, at the Biodiversity Convention in Montréal in December, the CBD Alliance and the International Indigenous Forum on Biodiversity (IIFB), (as well as the increasingly formidable Global Youth Biodiversity Network) proved that years of cooperation can move agendas. Thirdly, TECLA – the Latin American Technology Assessment Platform – completed its first full year of collaboration and programming. They began assessing the impact of synthetic biology on Stevia culture in Paraguay and neighbouring countries and evaluating the status of Terminator technology, including the new forms of Terminator now made possible by the multiplying variations on CRISPR (two reports to be released in 2018). During 2017, the broad consortium of CSOs and social movements in TECLA were joined by a second regional technology assessment platform in Asia-Pacific and, as we look ahead to 2018, we look forward to collaborating with CSOs in Africa to explore the feasibility of a similar technology assessment platform on that continent. Ever since our global horizon scanning gathering in Montpellier, France in 2008, ETC and many allies have been working to move beyond technology ambulance-chasing to develop citizen-based technology assessment and horizon scanning at the regional level. Now, we seem to really be on our way. Fourthly, these last two developments signify a still more significant shift in global civil society arising from shared experiences and growing trust over decades of work on many issues. Without anybody losing their mandate or identity, civil society has achieved an ad hoc or “as needed” collaboration that lets us move faster and work better than ever before. We will only get better at this. Which brings ETC Group – board, staff and friends – to our next horizon. Building on conversations that began more than a year ago, ETC has set our focus on the year 2040. Not because we are celebrating our 40th year as ETC/RAFI, but because one of the greatest strengths of civil society is our ability to sustain long-term commitments, and 2040 gives us a timeline that plays to this strength – a preparatory phase leading to 20 years of synergistic CSO strategies. ETC believes that when civil society uses our vision, time, resources and partnerships well, we have the fulcrum to make massive changes. In ETC’s discussions, we have agreed to consider each of our areas of work (erosion of equity and ecology, technological transformation, and corporate concentration) and make an unromantic assessment of what is realistically possible by 2040 – knowing that 2040 will be far from Nirvana but can be a bit (or a lot) better than dystopia. Then, based on our sense of the possible, we are working backward to map the byways and sideways that could get us there: how we can shift institutions (policies and programs), how we can move money (both toward good outcomes and away from bad processes), and how we can develop the long-term alliances and short-term strategic partnerships needed. In civil society, we have an astonishing diversity of allies and a breadth of knowledge that can’t be matched by even the biggest conglomerates or most powerful AI computers (which let’s face it, may prove not to be as powerful as the humans they think they are replacing). We will match their algorithmic data-driven futures with authentic people-driven responses. Respond to ’effective altruism’ with ’effective activism’. This ‘back from the future’ 2040 mapping will be complicated and convoluted and filled with unknown detours, but we are convinced it is the only responsible way to get us to a better world. So, yes, ETC is infected with the ‘optimist’ gene – but we come by it naturally, organically – drawing from 40 years of good work with good friends and knowing how much good lies ahead. We hope it is contagious. For those who want to help us on the journey, we have even established a fund: the 2040 fund which is now open for donations. Enough with the dystopias – let’s find the paths out of here. It’s been a year of comings and goings for ETC as we transform ourselves for our next twenty-year assignment. Closing our headquarters in Ottawa, we sadly said goodbye to the amazing and efficient admin duo of Joelle Deschaumbault and Joana Chelo, who have carried us so gracefully, and to a civil society community in Canada’s capital who have been our constant friends and inspiration. We now have joint headquarters between Davao City in the Philippines and the small Québec village of Val David (we call it ‘Val-Davao’) – with a new admin trio (Madeleine, Rena and Jo-Ann) straddling the two diametrically opposed time zones in ETC’s version of the always-on (civil) society. Our US sister organisation, Friends of ETC Group, also gracefully transitioned its headquarters this year from North Carolina to North California. We owe a huge debt of thanks to Kathy Jo Wetter who has helmed ‘Friends of’ for many years (and remains as president of the board) and to our new Nor Cal ‘Friends’ (Hank Herrera on staff and Gopal Dayaneni, on Board). 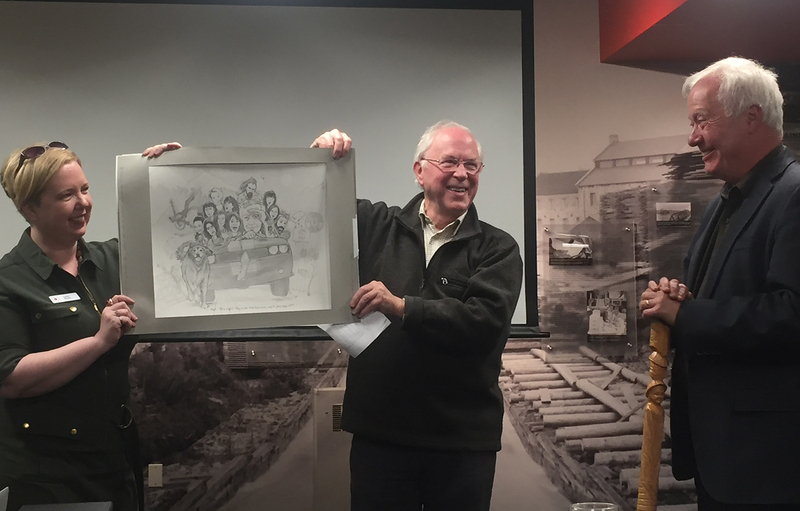 Most significantly, Pat Mooney stepped down as Executive Director in September and will officially “retire” at the end of 2017. This marks a significant, but carefully planned, change for ETC, as Pat is the last of the four co-founders who set the organization on its course 40 years ago. Pat’s leadership has inspired not only the ETC team, but a large network of like-minded individuals working across many fields. A few people have remarked that corks may have been popping in St Louis and Silicon Valley when news came through of Pats so-called retirement... but of course nobody who knows Pat has the slightest illusion that Pat will go on to do anything retiring in nature. Freed from management responsibilities (which have been passed to Neth Daño and Jim Thomas), it’s Pat’s unbridled energy and strategic genius that may have just been uncorked. Lava Camp: Whoops! Turns out there are almost 100 volcanoes bubbling away in Antarctica that nobody knew about. Their snouts are above the waterline but still deep in ice. This is the largest concentration of volcanoes anywhere – so far. As Antarctica thaws, the pressure on the sides of the volcanoes will change, but nobody’s quite sure what that means... what would happen if a volcano or three erupts, spewing particles in the air, when someone is trying out a geoengineering experiment? In late November, with Mount Agung erupting in Bali, geoengineers had to take note. Mine-Bogging: We’ve known for a long time that there is a huge peat bog in the Congo but we only learned in 2017 that it is bigger than England, 3-4 meters deep, and has enough stored CO2 to equal three years of global GHG emissions. If deforestation and mining increase as feared, the release of the central African peat bog CO2 could shock the planet. Auf wiedersehen bugs? As gene drive jockeys dream of wiping out flying insect species, they may take a pause over the dramatic crash in flying insect numbers in northern Germany. Entomologists measuring flying insect biomass over 27 years in 63 nature protection areas in Germany found that the average flying insect biomass declined 76% (up to 82% in midsummer). Their results corroborate reported declines in vulnerable species such as butterflies, wild bees and moths, but were far worse than suspected – suggesting that the entire flying insect community has been devastated over the last few decades. Industrial agriculture was named by the researchers as the most likely culprit. High-Fryers: Londoners’ love of bangers ‘n mash is both palpable and inhalable. It seems that 10% of the atmospheric particulates hovering over London are oleic acid molecules from cooking oils and fats. The molecules hang around much longer than other particulates and are more efficient at forming clouds. Could animal fats be used in geoengineering efforts to block the sun? Is a High Cholesterol Cloud Upgrade Project (HiCCUP) on the horizon? The meat industry may be smelling a new ‘solution’. Walking on Water with My Plastic Jesus? After learning at the beginning of 2017 that the dumping of plastics into the world’s oceans could mean that, by weight, the seas will have more plastic than living species by 2050, The Guardian revealed at year’s end that since 2010, industry has designated $186 billion to the development of 318 new plastic manufacturing facilities that will increase plastic pollution by 40% over the next 10 years. The drive toward more plastics is led by fossil fuel majors like Exxon and Shell and fueled by a two thirds drop in shale gas production costs. Who Will Feed Us demonstrates that most of the food (at least 70%) that keeps humankind alive comes from the peasant networks that include small scale farmers but also urban gardeners, non-industrial fishermen and forest dwellers. These networks use less than 30% of agricultural resources. The report also talks about the huge damage caused by the industrial food chain in terms of environmental and human health destruction, depletion of water, emissions of greenhouse gases, loss of vegetable and animal diversity, loss of cultures and erosion of human rights. The solution is to support Food Sovereignty and dismantle the Chain – talk about 2018 New Year's Resolutions! Who Will Feed Us is available in English and Spanish, in electronic PDF and in paper copy. In 2018 it will be available in French, Chinese and Portuguese. Four short animated videos will be available in early 2018 in English, French and Spanish. This year, ETC Group, along with our friends at Biofuelwatch and Heinrich Böll Foundation, released “The Big Bad Fix,” a much-anticipated update to our 2010 “Geopiracy” report. The report gives a bird’s eye view of the technologies, actors, and political fora of geoengineering -- as geoengineering plows into the mainstream climate discourse it truly, unfortunately, is a must-read for any and every one who’ll be living through 2018. Traitors: Europe’s small surviving seed companies will lobby the UN’s World Intellectual Property Organization to begin negotiations on UPOV 21 – a new Union for the Protection of Plant Varieties – that will do away with the traditional requirements for uniformity and stability in plant varieties but keep the “distinctiveness” criteria so that companies can claim monopoly over ‘native traits’ they discover (and digitally manipulate) in farmers’ varieties. Cryptomaniacs? In 2018 or thereafter, an attempt may be made to put the dollar or another major currency onto the blockchain. If the meteoric value rise of bitcoins continues, they may become everybody’s currency of choice. Or, if the crypto currency collapses (and, at ETC Group, we think the short-term odds are even), 2018 will see a lot of cyber speculators out somewhere in the ether hanging from their blockchains. M.E.Too? After #MeToo became 2017’s leading meme, calling out predatory male behavior at all levels of society, 2018 could see the meme go decidedly ecofeminist as inappropriate predatory advances on Mother Earth (M.E.) also get the name and shame treatment. Athabasca Tar sands? #M.E.too. The Congo Basin? #M.E.Too, Industrial monoculture everywhere? #M.E.Too – Time again for Hands Off Mother Earth! Red Team, Blue Team, Geo Team? It seems almost certain that the Trump administration will hold a Red Team/Blue Team exercise in 2018, pitting climate change skeptics against climate change experts to find ‘the truth.’ If so, expect geoengineering to emerge as the ‘surprising’ middle ground that will unite all – even more so if the red team/blue team exercise is helmed by ‘deep state’ geo-booster Steven Koonin. Gene drives – It will be a big year for decisions on whether gene drives get the green light for environmental release. Up against millions of PR dollars from Gates, ‘Open Philanthropy’ and the US military, expect several plucky Southern countries to nonetheless push for a moratorium on gene drive release at the UN Convention on Biological Diversity – first in Montreal in July and then in Egypt in November. Happy new year! We hope to see more of you between now and 2040!